Irritable bowel syndrome (IBS) is a chronic, episodic intestinal disorder characterized by abdominal pain and altered bowel habits. It affects 1 in 7 Americans, although most go undiagnosed. IBS can have a substantial impact on well-being and health, but doctors underestimate the impact the disease can have, particularly the pain and discomfort. Using some measures, the health-related quality of life of irritable bowel sufferers can rival that of sufferers of much more serious disorders, such as diabetes, kidney failure, and inflammatory bowel diseases. The first step toward successful treatment is for doctors to acknowledge the condition and not just dismiss the patient as just hysterical or something. Another reason sufferers often don’t seek medical care may be the lack of effectiveness of the available treatments. There is a huge unmet therapeutic need. Since IBS has no cure, treatment is targeted to alleviate the symptoms. Typical antispasmodic drugs can cause side effects, including dry mouth, dizziness, blurred vision, confusion, and fall risk. New drugs now on the market, like Lubiprostone and Linaclotide, can cost up to $3,000 a year and can cause as many side effects as symptoms we’re trying to treat. Antidepressants are commonly given but may take weeks or even months to start helping. Prozac or Celexa take 4 to 6 weeks to help, and Paxil can take up to 12 weeks. They also have their own array of side effects, including sexual dysfunction in over 70% of the people who take these drugs. Acupuncture works, but not better than placebo. Placebo acupuncture? That’s where you poke people with a fake needle away from any known acupuncture points. Yet that worked just as well as real acupuncture, showing the power of the placebo effect. I’ve talked about the ethics of so many doctors who effectively pass off sugar pills as effective drugs, arguing that the ends justify their means. There’s actually a way to harness the placebo effect without lying to patients, though. We tell them it’s a sugar pill. Patients with irritable bowel syndrome were randomized to either get nothing or a prescription medicine bottle of placebo pills with a label clearly marked “placebo pills” “take 2 pills twice daily.” I kid you not. Lo and behold, it worked! That’s how powerful the placebo effect can be for irritable bowel. They conclude that for some disorders it may be appropriate for clinicians to recommend that patients try an inexpensive and safe placebo. Indeed, sugar pills probably won’t cost $3,000 a year. But is there a safe alternative that actually works? As you can see in my video, Peppermint Oil for Irritable Bowel Syndrome, nine randomized placebo-controlled studies have indeed found peppermint oil to be a safe and effective treatment for irritable bowel syndrome. A few adverse events were reported, but were mild and transient in nature, such as a peppermint taste, peppermint smell, and a cooling sensation around one’s bottom on the way out. In contrast, in some of the head-to-head peppermint versus drug studies, some of the drug side effects were so unbearable that patients had to drop out of the study. This suggests it might be a reasonable approach for clinicians to treat IBS patients with peppermint oil as a first-line therapy, before trying anything else. The longest trial only lasted 12 weeks, so we don’t yet know about long-term efficacy. The benefits may last at least a month after stopping, though, perhaps due to lasting changes in our gut flora. The studies used peppermint oil capsules so researchers could match them with placebo pills. What about peppermint tea? It’s never been tested, but one might assume it wouldn’t be concentrated enough. However, a quarter cup of fresh peppermint leaves has as much peppermint oil as some of the capsule doses used in the studies. One could easily blend it into a smoothie or with frozen berries to make something like my pink juice recipe. 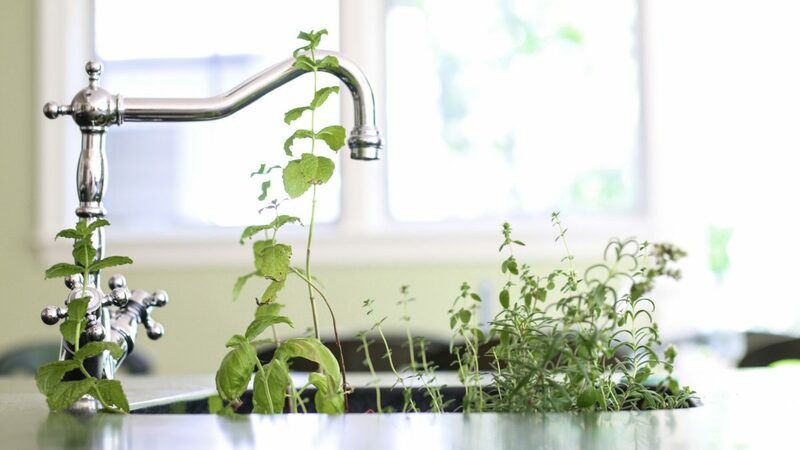 You can grow mint right on your window sill. We doctors need effective treatments that “are cheap, safe, and readily available. This is particularly relevant at the present time as newer and more expensive drugs have either failed to show efficacy or been withdrawn from the market owing to concerns about serious adverse events.” Just like it may be a good idea to only eat foods with ingredients you can pronounce, it may be better to try some mint before novel pharmacological approaches, such the new dual mu-opioid agonist delta-antagonist drug with a name like JNJ-27018966. I have some other mint videos: Enhancing Athletic Performance With Peppermint and Peppermint Aromatherapy for Nausea. Lemon balm is also in the mint family; so, check out Reducing Radiation Damage With Ginger & Lemon Balm and Best Aromatherapy Herb for Alzheimer’s. You can also sprinkle dried mint on various dishes. See Antioxidants in a Pinch. What else might work for IBS? See Kiwifruit for Irritable Bowel Syndrome and Cayenne Pepper for Irritable Bowel Syndrome and Chronic Indigestion. Is there a dietary treatment for A-Fib? http://www.dresselstyn.com/site/faq/ Basically he is advocating a plant based diet for the many benefits it offers in general though he says A Fib is largely independent of diet. Hope that helps. I read Dr Esselstyn’s book and visit his site periodically but some of what he says is his opinion or experience and not scientifically proven. For example, he does not recommend nuts/seeds or avocado and requires no added fats to reverse heart disease. Well, his method does work but it does not prove that is the only method to reverse heart disease. https://nutritionfacts.org/video/coffee-and-mortality/ (you may find what you are looking for at about fourth minute). High blood pressure is also risk factor for atrial fibrillation, so lower your salt intake and be sure to get enough potassium (fruits and vegs). Hi Bill – This might sound really bizarre, and I don’t know if it will work for you, but I’ll share my experience. For over 40 years I have dealt with an arrhythmia, first diagnosed by gp in my 20’s. Shows up on an EKG. He offered beta blockers. After I read all the side effects I declined that treatment. Over the years I learned more about magnesium and started taking that. Magnesium citrate (not oxide) I found to be helpful over the years and I noticed that if I took my magnesium (400mgs/evening) my arrhythmia calmed down. If I got off my routine, back it came. That worked fairly well for decades. More recently I fell in love with San Pellegrino mineral water and have been consuming that or Fiji water (also a mineral water). This is purely anecdotal but my arrhythmia has gone away – I cannot feel the palpitations at all. http://www.pbs.org/wgbh/nova/earth/life-rocky-start.html I hope you get this post Bill. If you try this, I hope you will report back and let us know if it is helpful to you. Take care. What about a low FODMAP diet for IBS? It is treated as an evidence-based treatment here in the UK, but I haven’t seen much evidence of low FODMAP vs placebo. What is your take on it? For what it’s worth, I’ve got IBS and low FODMAP has really helped me! I’ve found a particular sensitivity to oligosaccharides and since cutting them out (and cutting out cruciferous veggies), my symptoms have basically disappeared. That said, I really need to figure out a way to incorporate these foods back into my diet (onions, garlic, cruciferous, etc. for obvious health reasons). I’m working with an RD to find the right balance of treatments and/or probiotics to allow me to re-incorporate them. I’ve had IBS nearly all my life and taking a sugar pill would NOT have helped with any of my symptoms, I find this suggestion very insulting for the people that suffer for years with this. No kind of pill is a solution, the only way I have found to ease symptoms dramatically is to have a FODMAP diet. As mentioned here. It took me until I was in my 30s to discover it and I’ve been suffering since I was 14. Once the FODMAP diet is followed it’s down to the person to tweak what they can and can’t tolerate but it’s been the best guide for me to live an almost IBS symptom free life. To all th sufferers, please give this a go. It helped me so much. personally find, are the most tolerable for you? Any chickpeas, and if you have garlic, raw or cooked? I recommend the Monash university app. There aren’t a lot of fruits allowed, but mercifully, blueberries, raspberries, strawberries, oranges and bananas are allowed. Which I eat almost every day. For nuts, similar story. Walnuts tend to be fine, small amounts of almonds or peanuts too. And I still do my once a week brazil nut. Cashews are sadly out. I handle coffee fine. They say you can do 1/4 cup canned, rinsed chickpeas, but I don’t. I do do canned, rinsed brown lentils though. No garlic or any other allium in any form *except* green onion tops, which you can do fresh or dried. You can also use garlic infused oils since FODMAPs are water soluble, not fat. Totally agree Julia. Yours was the best reply to Dr. Gregers silly response to IBS.I tried the peppermint oil and had a severe burning rash when it came out the other end. It did absolutely nothing. Fodmap diet works and like you indicated tweaking a little is the trick.I almost abandoned the whole food plant based diet after eating it for years . When I finally eliminated almost all the high fodmaps, for the first time I felt good, so listen up all you whole food plant based doctors! We, with IBS, CAN’T eat the way you recommend. Get educated and tell the truth for people like us. So many of these wonderous whole plant foods are making us sick!!! Dr. Greger would be well advised to educate himself about this disorder and how the fodmap diet is now recommended by many doctors. I am so heartened by the success stories and while I am in the continuing process of converting to WFPBD I am struggling with meal preparations. Wondering how others approach incorporating veggies and fruits and grains, etc. into meals. Are there tips that you can provide to newbies like me? Any particular menus or cookbooks that you would recommend. I really don’t want to spend hours preparing meals and then cleaning up. Yes, it is important to see to my health and hopefully improve or eliminate digestive issues but honestly can’t invest huge blocks of time on meal preps. Any help would be most appreciated. The Complete Gut by Dr Michael Moseley and Digestion by Dale PinnockThey have both changed my life. 2) Check out the free on-line program from PCRM (Physician’s Committee for Responsible Medicine) called 21 Day Kickstart. The program will “hold your hand” for 21 days, including meal plans, recipes, videos, inspirational messages, and a forum (moderated by a very respected RD) where you can ask questions. This program may be more intense than you want right now, but it will give you ideas for going forward, and you can do as much or as little as you want. There are a lot of really great resources out there. I just didn’t want to overwhelm you. If these ideas don’t appeal to you, don’t give up. We have lots of ideas here and eventually you will find plenty of tasty dishes that meet your convenience needs. Good luck. Lida: Definitely no judgement here! I’m ***all*** about shortcuts in the kitchen myself. I found these very healthy whole food plant based diet 5min. meals that are also delicious. Done by young twin brothers. They are a lot of fun to watch & you’ll learn a lot. I posted it on my FB account & other tried it AND love the food. Good luck. I basically buy a lot of frozen veggies and make soups. Also salads. Make a whole wheat muffin. Recently making summer tacos…soft white corn tortillas with beans…lettuce…onion…olives…tomatoes…and hot sauce. Nuts…an assortment. If it’s mostly unprocessed…it ends up as food…if you are an unprocessed person…stand back. I’m male…never really learned to cook…so I cook to eat. Some of us are acronym challenged. Good writing will assume that not everyone will recognize the acronym and will at least once during a post, spell out what the acronym stands for. Here, I’ll make it a little easier for you. TFTLSA, but someone in a later post actually remembers how to write in longhand and following good rules for writing, posted the acronym’s meaning. Hey Petya, thanks for writing! a recent meta-analysis of clinical studies (see https://www.ncbi.nlm.nih.gov/pubmed/28846594) concluded that a low FODMAP diet is indeed superior for reducing pain and bloating. However, this conclusion was based on the comparison of a low FODMAP approach to a standard diet – which is probably unhealthy enough to cause stomach problems in many, if not most people! The comparison to diets specific to the treatment of IBS was not done. There may be a strong placebo effect here; when people try things on themselves, just the act of taking ownership of one’s health can have a healing effect. So try it, and if you get LASTING relief you’ll know it’s more than a placebo effect! Wondering if you could send out information on gastroparesis. Doctors at Dartmouth think my daughter has I.B.S. but in fact we are thinking gastroparesis. The western diet for gastroparesis is a nightmare so we are using a Chinese Doctor and following a brown rice diet. Best of health for your daughter. Hi Dr. Greger……..my integrative, plant based Dr. recommended a low fodmaps diet for IBS, SIBO, and difficulty digesting a plant based diet. Also, sprouting grains and legumes. Has worked great for me!! In terms of efficacy and cost, nothing beats treating IBS with drinking a quart of warm water first thing in the morning before eating or drinking anything else. I heard a radio discussion about following this practice for the treatment and prevention of upper respiratory infections and, desperate to avoid running through my sick leave at work–one good episode of flu or a nasty cold was enough to accomplish that–I gave it a try. My alarming rate of incidence for colds and flu moderated to almost nothing, and as a pleasant “side effect” my doctor diagnosed IBS went away. I started this at about age 25, I’m now 65, and I’ve had perhaps one episode of something like IBS since starting, and that shortly after I began the practice. This is a no-brainer: a leg up on daily hydration; dramatically decrease the incidence and severity of colds, flu and bronchitis; AND knock out IBS at very nearly no cost or bother. What if you are unlucky enough to have reflux and diverticulosis in addition to chronic indigestion. Wouldn’t peppermint result in greater aggravation to those conditions? I wondered re: reflux as well. Try the herb Marshmallow Root by Nature’s Way. Try taking two caps BEFORE you eat. side note: Be sure NOT to overeat! I thought so too, but the best solution for me has been a total shift to a plant based diet. Now I no longer take anything and am so much happier. Mint tends to settle my tummy but I am only doing tea or fresh mint in a smoothie. Thank you for your question. I am a family doctor with a private practice in lifestyle medicine and also a volunteer moderator for this website. First, I need to clarify that Dr. G. is writing about irritable bowel syndrome, not about “chronic indigestion” which is not necessarily the same thing. “Chronic indigestion” could mean lots of things, including chronic gastroesophageal reflux, or even chronic excessive gas. Thank you, Dr. Jon, for your information. I have used the term chronic indigestion very loosely since I have read that IBS can cover a host of symptoms and is often used as a term by people who suffer from a variety of abdominal disorders even SBIO for which I have been diagnosed inferentially. I suffer from frequent abdominal pain both upper and lower. I have had reflux issues for many years and do now have one area for certain of diverticulosis. In trying to eat plant foods and increase fiber I have been beset by serious bloating and gas which is incredibly uncomfortable. Cruciferous vegetables, onions, garlic and so many of the “healthy” foods which I enjoy eating are definite culprits. I am struggling to understand what I can eat that will give me the healthful benefits without those issues. I do not want to be on antibiotics for the SBIO nor the PPI which my gastroenterologist favors. Do you have any advice for my predicament? How do I adopt a healthier lifestyle through food while avoiding the pitfalls that I have mentioned? Lee, thank you for this extra input. Indeed, both “chronic indigestion” and “irritable bowel syndrome” can mean many different things, so it helps to know your specific symptoms. I think you mean “SIBO” (small intestine bacterial overgrowth) and not SBIO. It is often fatty foods that contribute most to reflux. 2) eat the foods, but try to manage your gas by taking things like Gas-X or Beano. Regarding taking antibiotics for possible SIBO, I think that’s a bad idea. If your doctor really thinks you have some type of unfavorable intestinal bacteria populations, there are ways you can test for that. A company called Genova Diagnostics does a “Comprehensive Digestive Stool Analysis”, which can give you some good information. Thank you so much for your additional reply. I have read that L-Glutamine at 1000 mg per day is recommended for leaky gut syndrome. How do you feel about adding that? Quercetin at 1000 mg per day also. If you can bear one more question: which vegetables do you recommend that are high in fiber without causing issues such as I have mentioned? I am doing quite well with fruit but veggies have me stumped. My gastroenterologist recommended the FODMAP plan but it eliminates so many of the foods I have enjoyed over the years. 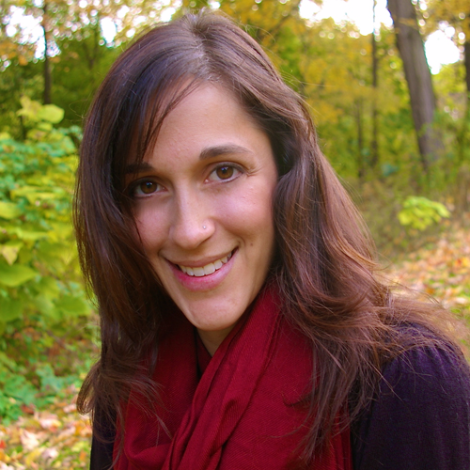 Lida, – I went WFPB over 10 years ago now. When I made the change I developed a whole lotta gas, especially with beans. The advice from the plant based experts was that this situation would settle down in about 2 weeks as my flora and fauna made the adjustment. My “adjustment” took considerably longer – about 2 years before I could eat all these wonderful plant-based foods and not bloat up like a hot air balloon. But my system did, eventually, adjust and I can now eat anything plant based and have relatively little intestinal problem. I’m not certain that my “problem” is the same as your “problem”, but I thought I’d just share my experience and encourage you to stay the course and see if you can move through your situation. Thanks, Rachel I do plan to stay the course and it really helps to know that not all plant foods will agree with everyone. I have to stop seeing it as a failure if I can’t tolerate broccoli for instance without issues. It was infuriating to find that many vegetables that are so healthy may not be tolerated by everyone. Perhaps, like you, in time and gradually they can be added in. In the meanwhile I need to find those plant foods that my system will welcome. Yes, you are correct. Foods such as fat, chocolate, spearmint, peppermint, onions, spices, alcohol, citrus foods, carbonated beverages, and caffeine can all contribute to reflux, but the best way to know is to try and find out. If you would like to try peppermint I suggest trying it in the morning or afternoon when you will not be lying down shortly afterwards as that would make your reflux worse. This is the first good treatment for IBS which I’ve had all of my life. I am gluten sensitive (I was tested) however. Nice to know I’m not a total loon after all. Yes, I’ve used Celexa for years. I just discovered peppermint tea also. This works well also! IBS can indeed be agonizing and life altering, even leaving home wasn’t an “option” for me unless there was access to private bathroom facilities. One of the many “side effects” of switching to a whole food plant based diet was that the long standing and disabling IBS that nothing else helped, essentially resolved! Not immediately to be sure, I had to learn what to avoid when I had a flare, (mostly oils), and adding lots of low salt home-made fermented foods was the final solution, but it is rarely a problem if I am compliant. I agree that the gut flora/microbiome has a huge effect on symptoms, and far beyond IBS including agonizing RA that I was taking potent drugs for because I was told by several specialists that was the only solution to “manage” it, and I would always have it. Despite the lack of support from my doctors, (who actually warned me against a carb heavy, meat freem WFPB diet), so many serious health issues and the pharmacopoeia of drugs I was prescribed to “treat” them, including T2 diabetes, went the way of the dinosaurs. (And so did my doctors) It would be great to have some Dr Gregers and/or the other REAL doctors who don’t just push pills and procedures! I see some change in the acceptance of nutrition in relation to our increasingly sick population, but word cannot travel fast enough! I always love reading your posts, VegeTater. Your experiences are a testament to how well a WFPB diet can turn someone’s life around. And you articulate them so well. IBS has many causes, such as infections, bad gut bacteria, imbalance of healthy gut bacteria, digestive/food issues, emotional issues, histamine issues, SIBO, gluten intolerance, unhealthy diet, eating too often, not enough fiber, etc. I’ve been on a vegan diet for over 40 years and have had healthy habits like drinking water first thing in the morning, etc. Peppermint oil did nothing for me, although a certain type is recommended, and does help many people with IBS. Vegan FODMAP (I am a nutrition/cooking instructor and put a vegan FODMAP diet together when the RD couldn’t) didn’t help much. FODMAP works in 50-70% of IBS cases. So the problem is: what is the person’s reason for IBS? A person has to find the cause!! Based on good medical tests, I have Lyme disease and co-infections which have racked havoc with my whole body including my entire digestive tract. I also have SIBO, gastroparesis, histamine issues, some gut bacteria imbalance, and gluten intolerance. It could be that all of these problems have come from long-term Lyme disease and co-infections mixed up with lots of antibiotics when I was young and then antibiotics for the more recent problems. So far a vegan/low histamine/gluten free diet has worked the best for me. But I have yet to irradiate the infections, bad bacteria and the histamine issues, which should go away when the infections and bad bacteria gone. For some of us, it’s not just a simple answer to correct the problem. 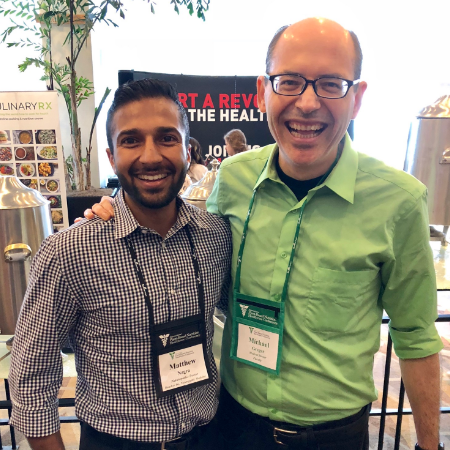 Thank you Dr. Greger! I use lots of your information in my food and nutrition classes!! I too do a vegan version, found it quite easy once you get the hang of portion sizes, though I still can’t tolerated beans (except green beans). I am interested on your vegan FODMAP. My mother suffers similarly and she is trying to do it, but the limitations are great. I don’t know where you could post me information on this site. There are people out here trying to make it work. How interesting! I became vegan very recently, only two months ago, and also began the low FODMAP diet. I have found it to be very helpful so far. However I am concerned because beans are definitely out of the picture for me, in the short term, and in the long term I may be able to manage them once every two days. Do you have any advice for me regarding Dr. Gregor’s daily dozen, which calls for three servings of beans per day? Several years ago, at the recommendation of a nurse friend who has studied nutrition and nutritional supplements for decades, I tried L-Glutamine in a desperate attempt to alleviate my reflux symptoms. The results for me were nothing short of miraculous. My internist had just recommended that I increase Prilosec from 1 to 2 tablets/day. Instead, I added a twice daily dose of powdered L-Glutamine mixed with about 8 oz of water–once first thing in A.M. before anything else, and once at night just before bed. Within about a week, I was totally off Prilosec and have never had to take it since. I almost never miss a dose of L-Glutamine because the results are so amazing. Thorne Pharmaceutical sells a very high grade product https://www.thorne.com/products/gastrointestinal-support/dp/l-glutamine-powder My nurse friend recommends this product for her patients who suffer from IBS, Crohn’s, and other GI system disorders. I would love to see some Dr. Greger studies/reviews of this amino acid!! I added this to our list of suggested topics. Thank you! Candy must you avoid taking other vitamins and supplements at same time? Happy to hear of your success with the l glutamine Candy. I had a bad reaction years ago with it, and found out since that many l glutamine products are either made from shellfish (ie not vegan) or from wheat ( not glutin free) . http://www.northcoastnaturals.com/products/fermentedlglutamine.php This product is vegan and glutin free (I have no interest in the company or product). Please do more for us celiacs. There is SO much information out there on this disease. Celiac rates have risen ~400% since 1960. And I can attest to the fact that managing this destructive autoimmune disease is not as “simple” as avoiding gluten, as so many well-meaning but uneducated people may say. I happen to have been “gifted” with this gene, passed down from my grandma. Unfortunately, the both of us have a very unruly expression of CD. My grandma can’t tolerate any grains, legumes, soy, or sugars (except for most fruits and honey). I am only 18, but I can see these “allergies” cropping up already. I am “lucky” to be one of the celiacs who cannot have oats – yes precious oatmeal is off my table forever and my heart aches because of it. However, not as badly as my stomach aches when it IS on my table – yikes! My point is, i realize “only” 1 in 133 people have CD (but let’s not forget the prevalence of misdiagnosed folks), but this disease still affects millions and is very much worth delving into the research (as I have done myself). I would be very interested to know your take on this matter, Dr. Greger. Especially considering that a large portion of the foods recommended by you and other plant doctors are ones that my grandma and myself, as well as countless other celiacs, cannot consume. (E.g. Oatmeal, whole-grains, beans, soy, nutritional yeast, etc) The whole rice ordeal has really been disheartening, considering my list of safe foods continues to shrink. I needed to express this concern, and unfortunately I am worried these concerns will remain unnoticed. I added this to the list of suggested topics! Thank you for the comment! Please add natural treatments for sarcoidosis as a topic. I have sarcoidosis of the liver. Most have it in the lungs. Its a nebulous diease..no known cause or cure. Just prednisone! Please help! Up all night with inflammation and pain in lymph nodes in the chest area with painful enlarged spleen and liver. I started a plant based diet in February when I was diagnosed by 2 Boston hospitals. I took some fennel seeds after each meal yesterday and slept longer than I have in over a year! Thanks for your feedback. Its a daily battle. I’m curious if you are able to consume Moringa Oleifera with your condition. It is a plant based food with exceptional nutrition. Just curious if there is any known disease that is exacerbated by this “wonder” food. Hi Lonie! I haven’t tried taking Moringa Oleifera. What are your thoughts on it? Claire, The reason I brought up the Moringa is because it has so many nutrients and with your limited menu, thought it might serve you well nutritionally. I take it with unsweetened apple sauce and it is palatable, for me at least, taking it that way. But to put that in context, I used to take it with applesauce plus a garlic clove sliced thinly mixed in. I would take a spoonful of the moringa/applesauce with a thin slice or two of the garlic and just swallow it without chewing. This summer I have had a bountiful watermelon harvest and eat that at least three times a day. Some other things I consume, including supplements, seem to combine to cause a loose stool on occasion. Not sure if hibiscus tea may not be part of the cause as well. When that strikes, I combat it preemptively by eating yogurt or yogurt plus ice cream on a hot day. Not a preferred thing to eat (milk product) but seems to firm things up. Ah I see! I take chlorella though, and I actually like the tablets very much! I find yogurt helps me a lot also. I buy So Delicious non-dairy kind, as with CD lactose/casein is also a big antigenic food. I will look into moringa, thank you!! CHLORELLA!! Thanks for reminding me. I have a half-filled 4 oz bottle in my cabinet. I took it all through the winter by put a long dropper full into whatever tea I was drinking, thinking it was supplying me the greens I needed. Watermelon season has just gotten me off my regular feed since I have such a good crop and plenty to eat to keep from going to waste, even after giving many of them away to friends and family. Can someone offer any advice on chlorella ? That is, does it provide much nutrition by way of being green? Something you said regarding respiratory health triggered a memory of something I’ve read recently in Science Daily. They now believe (and have proof in a mouse experiment) that humans can exercise 70% longer even if they are sedentary. But since this last link was for 20-30 year old research, I will continue to follow this since we have a tremendously better research and development culture now than we did then. If they haven’t already, the will eventually figure this out and how to make it work for us. Hi Lonie. Great question. I am a volunteer here on NutritionFacts.org and I think you might find these videos interesting, Is Chlorella Good For You? and Treating Hepatitis C with Chlorella. It should not be used as a source for all your greens. There is no one specific source for all the essential nutrients your body requires. Therefore, consuming a wide variety of vegetables as a source of your greens gives you these required nutrients. If IBS is anything related to IBD or Crohn’s then the direction researchers are going -chronic infection- should lead to a cure -not just treatment. It is hypothesized that many autoimmune ailments are in fact related: disease varies depending on each patients unique DNA. Good article, but was surprised like others that the Fodmap friendly diet was not mentioned. 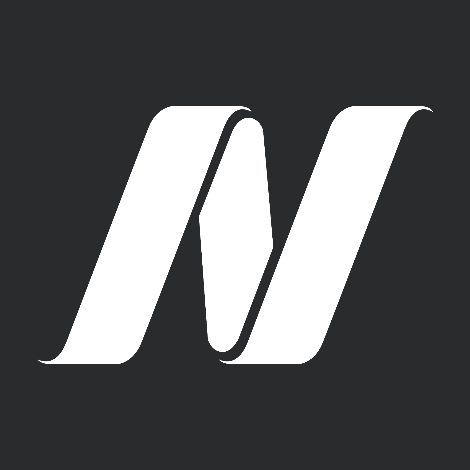 Monash University in Australia are continuing updating their app which you can follow. I only had to take out a few things out of my diet and felt a dramatic difference within a week. I wish Dr. Greger would not list his appearance on the Dr. Oz show. It undermines the quality of his commentary and research because Oz is now just a quack who shills for very questionable entities. Some good docs go to the dark side of quackery using their previously good credentials. It happens a lot. Very interesting that so many people have found their own creative solutions to IBS. I work with people who are investigating how gut flora have changed over the last sixty years and how a plant-based diet can improve these functional problems. First thing to try for many people who have IBS is probiotics and prebiotics and going to a strict plant-based diet. Sometimes that’s enough, but many of you mention an array of other solutions that need more public attention. As Greger keeps mentioning, a basic deficiency in medical education means that nutritionally ignorant physicians continue this illusion that they know anything at all about human nutrition. Of course it’s in their interest to continue this ridiculous and misleading impression. I’ve been in academic medicine for almost 40 years, and in all that time I’ve met only three or four people who know what they are talking about when it comes to human nutrition. The last school where I worked offered only five hours of nutrition education, and it was an elective and was poorly attended. No wonder medicine has gone off the rails. I am currently going through a bout of constipation with a lot of pain. Naturally the doctor prescribed medication which are METRONIDAZOLE 500mg tablets, CIPROFLOXACIN 500 mg tablets and over the counter Smooth Lax, Polyethylene Glycol 3350 powder. After reading the side effects of the medication I don’t think I want to take it. Do you have a natural remedy that I can use. Are you eating a whole foods, plant based diet as recommended by Dr. Greger? My guess is, no. It would surprise me if this could happen on a WFPB diet. You can try Psyllium Husk last thing at night. Start with 1 tsp in a glass of warm water. As it has a swelling capacity remember to drink a lot more water. Thank you for your question. 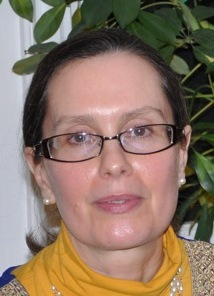 I am a family doctor with a private practice in lifestyle medicine, and also a volunteer moderator for this website. Without knowing your whole medical history, it’s difficult to give you good advice over the internet. For example, I would like to know if you just have a simple case of constipation, or if maybe your doctor thinks you might have diverticulitis, which can be a serious problem — occasionally leads to perforation of the bowel, and can require surgery. Symptoms of diverticulitis include fairly severe pain in the left lower abdomen, nausea/vomiting, and fever. Metronidazole and Cipro are antibiotics often used to treat diverticulitis. Polyethylene glycol (known by lots of different names, including MiraLax) is a very strong laxative. It certainly usually works to cause a bowel movement. However, there are gentler ways of inducing a bowel movement, including exercise, more fluids, drinking coffee, and various fruits and fruit juices — especially prunes and cherries. I found 2 solutions to my problem of constipation and hard bowels. After much research and experience, I now take Flora Source a probiotic from Nutri-Health. One in morning before breakfast and one at bedtime. I sometimes take a digestion enzyme from Enzymedica if I have skipped one day without a bowel movement. I take it about 1/2 hour before a meal or two. I have solved my problem. Good luck. Don Taylor – I have been WFPB for over 10 years. I still, at times, have a bout of constipation and I’m still trying to figure out what might be going on with me. I have to say that overall a WFPB diet has been more than helpful overall, but, as mentioned, I still get an episode of constipation here and there. I am thinking that I have an issue of slow transit time possibly. Someone above suggested drinking a quart of warm water first thing in the morning. I’m going to try that. But something else that has been somewhat helpful to me is to build in a 12-hour fasting period each night. If my last meal is at 7pm then I do not consume food again until 7am the next day. If I get a little hungry, I drink a cup of tea – chamomile has a filling sensation but one could try others. My system seems to do better when I give it plenty of time each day to do its work. I am in my 60’s so I am also assuming that my system has slowed over time. Walking, – movement – naturally helps. Another helpful possibility would be to make sure you are getting enough magnesium in your diet. You can take magnesium up to the point of “loose stool” safely. Over the years I’ve taken 400mgs/nightly and my whole system seems to work better with it – especially my arrhythmia. Carolyn Dean, M.D., N.D., has written a book called The Magnesium Miracle that offers lots of information on that topic. Constipation is very uncomfortable and I don’t blame you for not wanting to take medications for it. Me neither especially since it doesn’t solve the problem. Hope you feel better soon. When I went vegan 2 years ago after watching Dr Greger’s videos, I thought it would help me overcome the IBS I suffered from for 30 years. I love being vegan, but it wasn’t until I removed dairy, sugar and any wheat products from my diet, and started taking a top-notch probiotic every morning before breakfast that it ended. I’m still vegan, I just avoid those three things. No more bloating, cramping, or vacillating between diarrhea and constipation. Just regular, healthy daily poops. I’m also careful what beans I eat. I don’t know if Dr Greger addresses it or not, but the lectins in certain beans really give me the bloating and cramps and irregular pooping. Bernadette your story gives me hope Can you share which probiotic helped? How can you be vegan if you eat dairy? Can you please tell me what you consider to be a top notch probiotic? I am very confused by all the ones I see. Hey Bernadette, thanks for writing! Finding one’s own answers to a health problem is so much more valuable than receiving treatment – glad you found yours! I’m wondering though if it’s not the lectins; more recent evidence indicates it may be the fermentable sugars (oligo-, di-, monosaccharides, and polyols, or FODMAPs that are responsible for the effects (see https://www.ncbi.nlm.nih.gov/pubmed/28300773). As someone who has dealt with this issue since I was in my teens, I can attest to the helpfulness of peppermint tea in controlling irritable bowel disease. I stumbled on it quite by accident. I learned that drinking hot water would afford some relief, but it was not the total answer. One night in miserable desperation, I brewed a cup of peppermint tea, and lo and behold, things seemed to relax to the point that I was able to get back to sleep. It may not work for everyone, but it has been a blessing for me over many years. May W – I saw the most interesting “experiment” a while back (and I’m sorry I can’t remember where exactly or I would share the link so folks could watch for themselves). This had to do with the natural contracting ability of our intestines which is built into the musculature. This is one of the challenges doctors face when performing a colonoscopy, .. working with the natural contractions (cramping) that our colons exert. Anyway, this research showed a piece of intestine that had been removed and showed how the intestine, despite being resected, still contracted and cramped. The researcher applied peppermint oil to the piece of resected intestine and the movement relaxed and stopped. It was quite impressive. I thought you might find this piece of information interesting given your success with peppermint. For myself, I gave up dairy decades ago (despite everyone panicking that I wouldn’t get enough calcium for my bones!!!). When I drank milk or consumed dairy I was doubled over in sharp crampy pains, bloating, gas, explosive stools. Forty years later my bone density scan shows no bone deterioration or osteopenia on any level. Perfectly healthy bones in my mid-60’s. It is my physical activity – using my muscles and bones – that keeps them healthy, not milk. I have chronic insomnia-D for last 9 years. Every day–at least 3-4 trips to toilet with watery diarrhea almost every time. Cramps, etc. Also have gerd and diverticulosis. I am now in my seventies. Have been throughly tested over the years. Seen many GI doctors. Told it is a motility problem (rapid) that causes this chronic ibs. I can’t tolerate any raw veggies except maybe lettuce and seedless cucumbers. No legumes at all. No soy. Too much fat or oil is a problem. Low fodmaps regimen helps a little. Take psyllium every day. I try to eat vegetarian and my husband is vegan. Meal planning is a horror story. It’s so very frustrating as I am not getting enough protein, etc. peppermint aggravates the gerd problem. Has anyone tried hypnosisnfor ibs-d? I’ve passed this article on to my friend who has IBS. On a side note, would like to see clinical studies on nutrition regarding AMD. Speculation that vegetable oils and sugar are the possible agents that has contributed to a explosive rise in AMD since the turn of the 19th century. Has there been any clinical trails since AREDS 2 clinical trail showing diet can slow or reverse AMD? I’ve posted this subject before in one of your YT live streams but no response. Hope you can respond to such! My mother has AMD, so I’m also very interested in seeing something on this topic. She had cataract surgery a few years before the AMD set in. She did not have cataract surgery on both eyes at the same time. She had them done about 5 or 6 years apart – right eye first, left eye second. The AMD also started up about 5 or 6 years apart – right eye first, left eye second. My IBS now only makes a very rare appearance- used to be a daily problem- since I have taken a teaspoon of Inulin powder every evening. Yep Snowdrop, I agree with the inulin.. that, and 1 tbsp ground flax in my morning oatmeal works wonders in combo with wfpb diet, For severe cramping I have not found anything better than strong camomile tea – even worked with muscle spasms I suffered these past months due to sports injury. Great stuff! Makes me feel kinda “stupid” when I don’t know what all the abbreviations mean. What does Fodmap mean? Please help. Marjorie, FODMAPs is an acronym (abbreviation) referring to Fermentable Oligosaccharides, Disaccharides, Monosaccharides and Polyols. These are complex names for a collection of molecules found in food, that can be poorly absorbed by some people. In India we use a combination of 3 herbs called Triphala to good effect. And personally I can advise good soft instrumental relaxing music to go to sleep. My Dietician just recommended that I take Curcumin for several ailments that I have. It is very expensive & I have never heard much about it. Dr. Gregor, can I have an opinion? Currcumin is a spice that is regularly used in every vegetable dish we make in India. It is not expensive but yes in places like India the chances of adulterated product is high. It acts as a mild protective immune system regulator and antibiotic. But people are taking too much of it and mostly not correctly. It is best absorbed when cooked in the meal. Thanks and RegardsPradeep MaheshwariFacebook name: Pradeep PK Maheshwarihttp://cleanaircampaign.weebly.com S-164, (LGF)Greater Kailash Part 1, New Delhi 110048, India 0091-9717808721, 011-41730043Please note that we have connectivity issues so please try the landline first. and you’ll see Dr. Greger indeed has an opinion on this beneficial spice. You can buy curcurmin in bulk and make your own capsules to save money (as described in How Not to Die), Lori, although the spice isn’t that expensive, you’ll find–much less than other common spices. Hope that helps. I am looking to see if Dr G blames IBS on meat or saturated fat or cholesterol or not and he does not do. What a change! I had suffered from severe IBS systoms for over 15 years. I have changed my diet to wholefood, eliminating dairy, gluten and sugar. I eat a mostly plant based diet and drink a plant based protein shake everyday. My IBS symptoms are completely gone. Please excuse the spelling mistake hear not here……..
Hi warren! too much of something is never a good thing. Peppermint oil is a natural anesthesic that might help. Even though your condition is related with the bowel, ulcerative colitis is a different thing; thus this study has proved effects on IBS which I’ve told you is not the same disease you have. There are several factors that might cause ulcer cancer and pepermint oil is not (when is used in recommended quantity) one of them. Dont be afraid of trying if peppermint oil or peppermint leaves works for you . Let us know what happened. Very interesting. I have a confirmed diagnosis of Autoimmune Enterocolitis. It has the same symptoms as IBS, constant diarrhea. Concerned that peppermint oil, if I can find it, will aggravate the situation. Problem is most everything does, including plain water. Your thoughts? Peppermint oil per the video is based on IBS, which is not an autoimmune disorder. It might be worth trying and is easily available at most health food stores. I would like to suggest that you consider your disorder from a functional standpoint and address the autoimmunity systemically. Food, hormones, toxic exposures, stress, your microbiome, exercise, and a host of other inputs can make a substantial difference in your disorder. Please see your healthcare provider and change your environment. Look forward to hearing your feeling better. Dr. Kadish, this has been going on for 10 years. Not properly diagnosed until 18 months ago. I’m working with the gastroenterologist that was finally able to diagnose my problem and am on Cell Cept. However I’m still looking for options to help control the constant diarrhea. I’ve tried fodmap diets, gluten free diets, lactose free diets and so far nothing has worked. Foods from every group that I used to eat without a problem are now a problem. I’m retired and on a shrinking fixed income. As such, there is no way to change my environment. Exercise brings on diarrhea … Can’t even walk the dog around the block anymore. Can’t afford a nutritionist … they are not covered by insurance. Apologize for venting. I’m just very frustrated. John so sorry that you are going through this Does your gastroenterologist have any idea what caused this since there was apparently a time when you didn’t have this issue? Lida, he is probably at least the 10th Gastroenterologist I saw regarding this issue. And he is the first to diagnose it. I am the second person with this disorder he has had in his long career. He has advised that many of his associates have never had a patient with this issue. It is my understanding that the disease affects less than 2% of either the population or of those that contract colitis … not sure which is correct. I FIGURED IT OUT!! After suffering from IBS for over 5 years, searching for every natural way to beat it, I figured it out the right combination of supplements and diet. 1. Diet. For one month, complete the Bulletproof diet. No sugar, bread, carbs, alcohol, all organic meat. 2. Take a strong pro-biotic after breakfast.Have to rebuild your gut. 3. Take Turmeric – 1000 mg 3 times a day. This is a natural anti-inflammatory. 4. Take activated charcoal 30 mins after each meal and supplements. 5. If you have diahrea after having a few beers, take an Imodium. By completing these steps after one month, my symptoms have diminished. Don’t stop trying to figure it out. It can be beat! Any questions, feel free to ask. God Bless! I am only a sample of one, but I thought I would share my experience. Just switching to a plant base diet has virtually eliminated my IBS which I have struggled with for most of my life. Two years ago I was diagnosed with cororary artery disease and received two stents. I soon discovered dr esselstyn, dr greger and others and decided to give plant based(with no added oil – i do add some nuts) a try to try and stop my heart disease from progressing. I already knew I was lactose intolerant and never had milk, but would eat yogurt and cheese which did not seem to give me a major problem. I also started taking probiotics. I immediately started to feel better overall(i was exercising more as well) and losing weight etc, but after about four months I realized that I had not had any bad IBS bouts for a while, I just hadnt been paying attention. As time progressed I realized that it basically vanished and I assumed it was also due to the probiotics. I decided to stop the probiotics and I still had no issues. In a few weeks I will have been on a plant based diet for two years. I cant really say why my IBS went away, but I assume it is due to my gut bacteria changing and being completely off of dairy( I had done this in the past but not for very long durations because it didnt seem to matter) I would have paid someone thousdands of dollars if they told me years ago to try a plant based diet. I did notice that Dr Garth Davis in his book said that going plant based also cured his IBS but he also doesnt provide any reason. Bottom line is that now two years later I am in probably the best shape of my life( 60 lbs lighter), all my blood markers are great and I hope my arteries are getting better, but the fact that my IBS has been virtually eliminated is amazing. As a personal chef we have had a customer for 6 years with IBS as well as a more serious matter, MS. The IBS disappeared literally within days. She thrives on cooked veggies, soups (especially miso veg, one of the best NATURAL probiotics), whole grains and pbwf desserts we make. She does best with COOKED foods but we do include small amounts of raw food. I took her off of all animal foods. She saves hundreds of dollars a month on medications and supplements. The other thing very important for her is NO PEPPER or hot spices. She had a flair up of IBS a few months ago when I was experimenting w hotter spices in our standard foods (due to the benefits Dr G talks about) and when I removed all pepper the IBS immediately disappeared. However she also fessed up that uncharacteristically she had been eating cookies and other stuff not on our successful approach at the same time. IMHO IBS is very curable, NOT incurable as mentioned in the article. Like everything else, the person with the condition has to actually eat pbwf with the adjustments that I mentioned above. The cure is food. Hi Moshe, As a newbie not sure if pbwf means without fat? Tried googling to no avail. Thank your sharing. Great knowledge. So many interesting comments here, I am especially thankful for every IBS success story. I have suffered from IBS since I was a kid but last year after a trip to india my gut went crazy. My gastroenterologist recommended to try a strict low fodmap diet. After two weeks strictly avoiding high FODMAPs I felt no pain and problems anymore and was deeply happy. 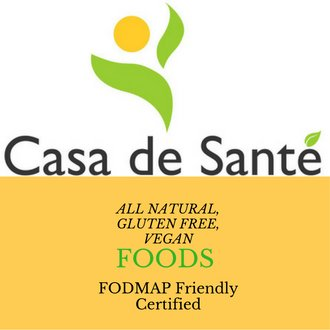 Although my health is still fine I am worried about the high amount of animal proteins and cholesterol that are connected to the classic low FODMAP diet. Don’t give up Tammy, I am on a vegan plant based diet with little or no legumes. I slowly increased my raw food. At first you will go through detox depending on how bad your diet was before you started. Try taking slippery elm to sooth your lining, one teaspoon before each meal. Also I found water kefir to be helpful. Start your day with fodmap friendly fruits, it is easier for your body to digest. I also switched to making my own almond milk, you can water it down to make it more fodmap friendly. Protein is in all vegetables and fruit, so no need to worry as long as you have enough food. 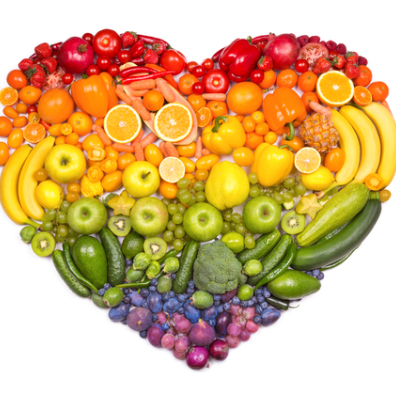 If you feel tired or hungry eat more vegetables and fruit (fodmap friendly ones). Get the app from Monash University as they update it all the time to work out your portions, this is really important because fodmaps can add up over the day or days. Stop eating meat, dairy, eggs, corn, alcohol, chocolate, coffee, soft drinks and any other processed foods. You need to make it easy for your stomach to digest and heal. Later when you are well you can slowly introduce things back into your diet. Look up on the internet for many websites that have support for fodmap diet. Also very important to get all the chemicals out of your house, go as natural as possible, so your liver has not got so much work. It might also be helpful for you to read books by Anthony William , the Medical medium. Good luck and keep researching, meditate and exercise to keep your spirits up. I suffered for years but there is light at the end of the tunnel. I have been doing a WFPB low fodmap diet for years, I still cannot tolerate legumes. You need to increase your fruit and vegetables more than anything else, everything has protein, look it up on the internet how much protein some vegetables have. Also keep it low fat and keep in mind that fodmaps can build up so need to have the right portions. Monash University has an app to check how much of each food to have in one sitting. Most people eat too much protein anyway so don’t stress too much, you just need to keep your calories up. As for raw a little each day is good and you can build this up as your digestive system adjusts. I now eat a big bowl of salad everyday and feel good. which you already know helps you — recommends that you cut out many of the foods that Dr. Greger recommends. Look at Table 2, near the bottom of the article, which lists sources of “Fiber without FODMAPs”. They also have a great statement about the importance of FODMAPs as “natural prebiotics”, and they caution against being on a low-FODMAP diet long-term. So, I recommend that you increase consumption of Table 2 foods: oatmeal/oat bran, rice bran, blueberries, strawberries, oranges, and spinach, but stick to your low FODMAP diet for a few weeks at a time, and see if that helps. They’re one of my go-to stores too! I just love their Low FODMAP products and recipes. Thanks for this much needed info! Cheers to our low FODMAP journey! Yes for a lot of people Low Fodmap works, you really need to try it out for yourself, it helped me to heal my IBS and a lot of things I have not been able to introduce back into my diet but that’s okay, I can live without some of them, it is a trial and error thing. I follow the low FODMAP diet and rely heavily on the Monash University app. It has allowed me to leave the house without adult diapers which was extremely debilitating and embarrassing. I was experiencing immediate, explosive diarrhea multiple times a day. Medical doctors had no solution. I would like to see a video discussing low FODMAP and veganism as I was vegan before the severe IBS and would like to be able to mesh the two. Thank you for your hard work and dedication. I have not had any problem doing low fodmap diet as a vegan, the important thing to keep in mind is quantity at one eating session. There are many resources available online. Get back to very basic for a week and then slowly add food a little at a time so your body can adjust slowly. I have succeeded in stopping my IBS symptoms, especially the debilitation ones that made me anxious to leave home, so I know how you feel. Just remember to stay away from packaged foods and eat wholefoods. You are better off eating lots of fodmap friendly fruit and veg than anything that is labelled fodmap friendly. I found out now I can have honey, so even though it is not vegan I found it better for me nutritionally than other sweeteners. I buy it locally unprocessed. I was happily eating WFPB since 2013, with no gas or other issues, feeling better than I ever had before. Then 4 yrs into WFPB, after getting diarrhea from overripe Pluots (oh why did I eat those!?) in August 2017 I developed debilitating IBS symptoms, waking in the night with terrible nausea and urgent bowel movements and fainting. I adopted a low FODMAP vegan diet, which absolutely helped, but I find it extremely limiting. I have been relying heavily on digestive enzymes (a multi and Beano), so I can handle lentils and beans, fructose and onion a few times a week. I’m working with a dietician to challenge fodmaps currently, but I’m tired of not being able to eat out easily. I’ve started eating fish to lower my fodmap load. I wish I didn’t have to, but I have pain under my left bottom rib due to bloating 80% of the time that I’m eating WFPB. My mother and father also found their ability to digest beans, garlic, onion, cauliflower reduced the longer they ate WFPB, so I don’t believe its something you can adjust to. If after 2 weeks of WFPB you have bloating after beans or wheat you might have IBS. Am I exacerbating my IBS with WFPB, and would I be better off eating animal protein ( very small amounts, like 1/4 cup fish) every other day? Constant inflammation/ pain in my intestines can’t be great for longevity. Living on edamame, tempeh, and tofu (limiting beans) seems not ideal either. Am I exacerbating my IBS with WFPB, and would I be better off eating animal protein ( very small amounts, like 1/4 cup fish) every other day? Jeanette, No idea if what I’m about to post will be helpful so take it for what it’s worth to you. I’ve trimmed my meat eating down to eating a tin of herring filets about 5 times a week. The way I eat them has varied from a splash of balsamic vinegar + liberal coating of liquid turmeric + piperine (black pepper extract.) Lately I’ve exchanged the balsamic vinegar with brewer’s yeast. Could have left the balsamic in and may try it that way, but currently loving the turmeric + brewer’s yeast so much I hate to change it in any way. Hi Jeanette – Thanks for your question! IBS can be challenging to manage and very individualized, so it is great to hear that you are following with another dietitian for nutrition guidance. If you haven’t already done so, I would first suggest trying to break up your meals into 5-6 smaller meals per day and see if this is better tolerated, and also aim to eat your meals/snacks at the same time each day to get on a consistent schedule. Sometimes transitioning to a lower fiber diet for a short period of time (ex. a few weeks) can offer some digestive relief, followed by gradually increasing fiber back into your diet. Keeping a food journal to track your symptoms when re-introducing foods back into your diet can be helpful. You should not have to sacrifice following a WFPB diet and it is unlikely that this is exacerbating your symptoms (just opt for less gassy vegetables, fruit skins/peels, and whole grains initially). Also be sure to keep your hydration up with plenty of water! I’ve been so diligent to follow the daily dozen, but began to experience incredible discomfort. Just had a colonoscopy and I’ve now been diagnosed with IBS. I didn’t have these symptoms before becoming a vegan and following the daily dozen protocol. Should I have eased into it more slowly? Any advice? When you first adopted a plant-based diet did you jump all in from a low fiber diet to a high fiber diet? If so, then it could be a bit much for your digestive tract to handle right away. Dr. Angie Sadeghi is a plant-based gastroenterologist who recommends increasing the plant-based foods you already consumed prior and slowly increasing other plant foods over time as you adjust. It is also possible that you had some digestive tract damage from your prior diet that only became evident upon consuming more plant foods. I would try visiting a plant-based doctor in your area. Try the links below to find a doctor in your region.